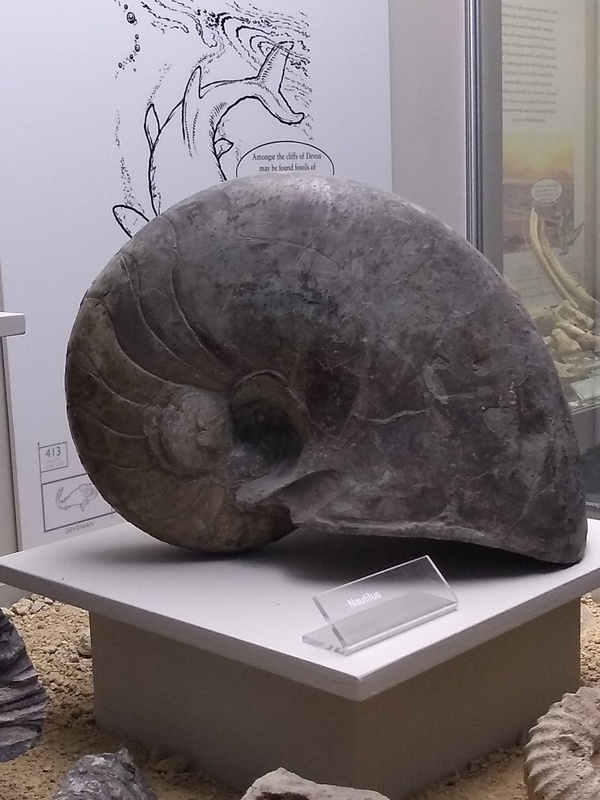 This is the shell of a nautilus, on permanent display in our Holden Gallery. These shells possess an amazing mechanism for buoyancy control. They can also implode at a certain depth, with 2575 feet appearing to be the limit for chambered nautiluses.